Influencer marketing has definitely come a long way in the last three years. A survey we did in 2018 revealed that it is, in fact, the second most popular choice for brands doing native ads, next to branded content. This is because sponsored influencer posts have been proven to be at par with branded publisher content both in terms of reach and cost efficiency. And, although influencer marketing continues to attract its fair share of speculation and controversy, there is no doubt that it will remain a top priority for marketers this year. It is very important to note, however, that the standards by which consumers assess which sponsored posts are worth their time—and more importantly, their trust—will change. Consumers appreciate transparency, they always have—but they are now starting to demand more of it. As it turns out, consumers have pretty much turned a skeptical eye towards all kinds of ads—and understandably so. In a world where fake news blend in with product placements and deceitful scams, it can be difficult to know who and what to trust. Thus, the demand for more authenticity and transparency in marketing is a completely valid response. Looking back at what allowed influencer marketing to gain traction over the years, one can clearly see that it has always been about honest insight into brands from people who are credible enough to talk about it. In 2019, this level of authenticity will again take center stage. If yesterday’s goal was to create buzz through influencer marketing, today’s challenge for brands and influencers is to foster consumer trust by putting out genuine and authentic content. Let your influencers do the talking. They say that word of mouth is one of the most effective forms of advertising, given the often unbelievable speed by which information travels between people who recommend products to each other, as well as the myriad of ways by which stories can be told. That being the case, for influencer marketing to be effective, sponsored posts must sound less like an ad and more like a friend recommending a brand that he or she actually uses. However, brands are unlikely to achieve this if they don’t grant influencers enough freedom to create content that resonates with their followers. As such, brands are encouraged to step back a little and let influencers do the talking; to be as flexible as possible with your briefs and leave some room for their personality to shine. Also, think of your influencer campaigns as a collaboration with people who are already thought leaders in their respective fields. 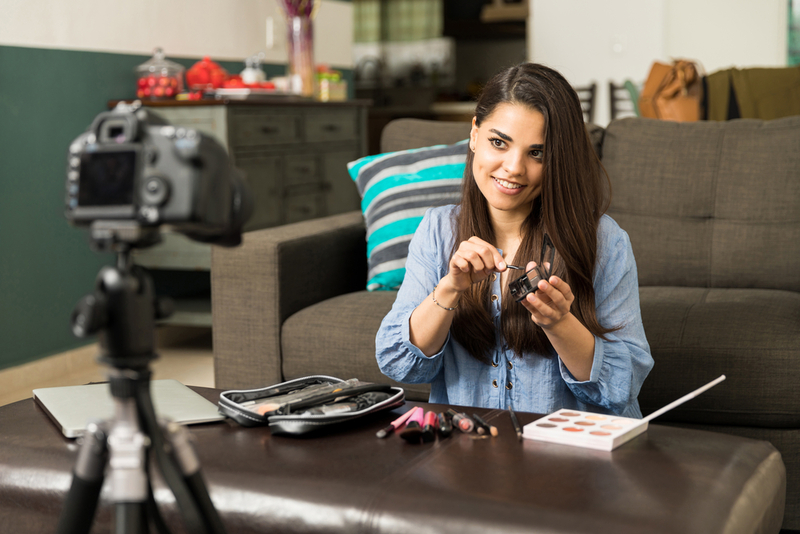 Sponsored influencer posts can and must be honest recommendations of a product, but brands and influencers must work together to make sure that their audiences are aware that these posts are sponsored as well. Again, at the end of the day, it’s all about transparency. Consumers are still likely to engage with and respond to a sponsored post, as long as brands and influencers don’t try to hide the fact that it’s a paid ad. And so, this year, let’s move influencer marketing back into that honest space where a sponsored post can be a genuine review and a paid ad at the same time, every time. Find the right influencers to work with. Needless to say, you have to be mindful of the influencers you work with. Rather than simply asking if a particular influencer embodies the personality of your brand, go ahead and take it a step further by asking if they are actually thrilled to use your product or avail of the services you offer. Remember, for influencers to be “influential,” they must have a genuine and authentic interest (or even borderline obsession!) in the topics that they talk about. So if they are not fully invested in your brand, it will most likely show in the way they present it to their audiences. Gutierrez also pointed out that all partnerships must be an exercise in mutual trust, as she often tells clients that she is not in the business of compromising her vision and personality just to promote their brand. Kate Delos Reyes, Managing Director of GetCraft, also emphasized the importance of identifying your priorities and looking for the right influencers that can help you reach your campaign goals. Much like how clients want to know if their influencers helped them make a sale, some influencers are also keen to know if the content they produce are actually influencing their audience’s purchase decisions. We all know that traditional ads no longer cut through the noise, but even sponsored posts by influencers now run the risk of getting ignored if they come off as too generic or too hard-sell. And, as more and more sponsored influencer posts populate our feeds, consumers are starting to tune out posts that offer nothing but templated captions and overly staged photos. While such high demand for honesty and transparency may pose challenges for both parties, we can also see it as an opportunity for brands and influencers to step up their game and create content that actually stand a chance at gaining the trust of their audiences and fostering stronger connections.